Things I know to be true? I have long, thick hair. The question I get asked most (in real life of course) is normally how did I grow my hair so long. I take a natural supplement called Biotin along with Omega 3, 6 and 9 which can speed up hair growth. I always advise consulting your doctor before adding anything new to your routine, just to be on the safe side. It doesn't work overnight but I do feel that in the long term it has boded well for me. I forever have visible dark blonde roots (a.k.a regrowth) on the top of my head but then again that could all boil down to genetics? Who really knows? 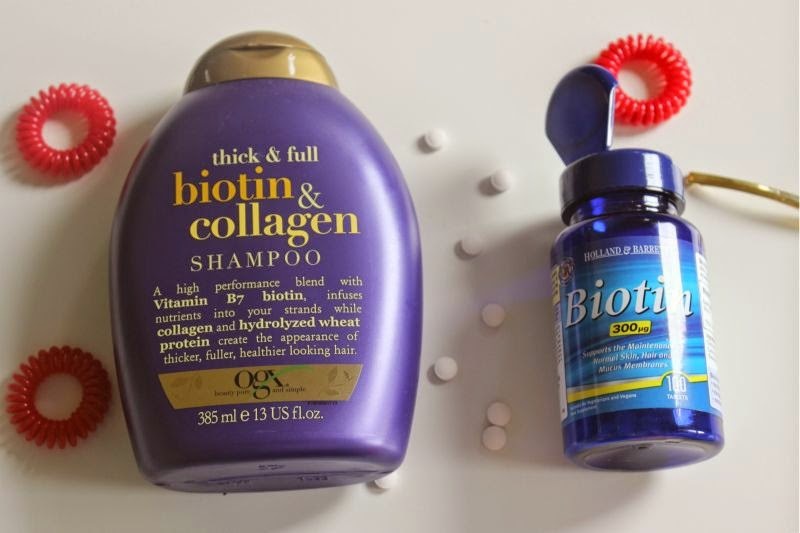 If you don't fancy Biotin as a supplement you can purchase OGX Thick and Full Biotin Shampoo and Conditioner. On occasion I do use both but tend to favour the shampoo as I feel for hair growth scalp simulation is more crucial. Once a week I treat my hair to a deep conditioning mask, for the longest time I have used pure organic Coconut Oil. I am still a fan off but do find it to be rather messy, especially if travelling. 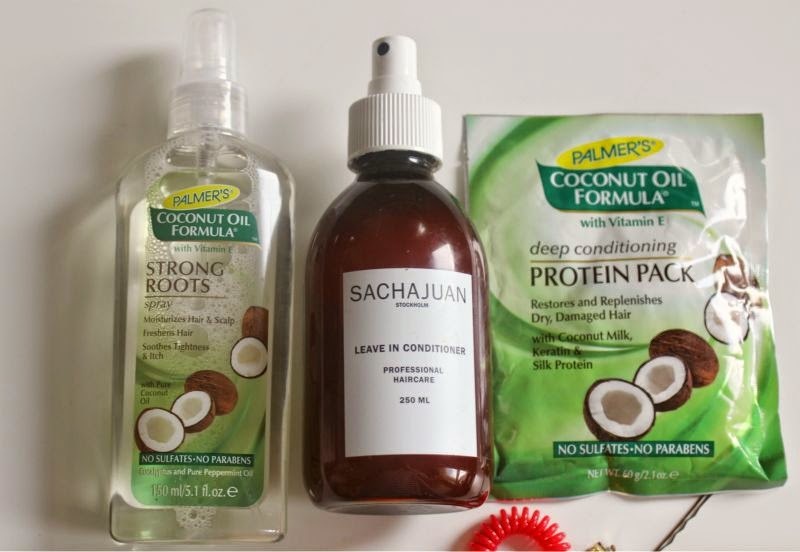 At the moment my go to is Palmer's Coconut Oil Formula Deep Conditioning Protein Pack. Each little pack contains enough conditioner for one use on my long, thick hair, so shorter and finer hair types may well get two uses from each pack. This gloriously thick conditioner deeply nourishes my hair, leaves it feeling softer and really has helped prevent my hair from breaking due to it being packed with protein. I'd go as far as saying it is as close to real coconut oil but with added benefits, I bulk buy these little sachets as I can't be without them and at just over £1 each who can blame me. On occasion I do double up this mask with Aussie 3 Minute Miracle Conditioner - I apply the mask, rinse and then apply the conditioner. I don't recommend doing this all that often as it can weigh down the hair but as a weekly treat it can really help parched tresses. 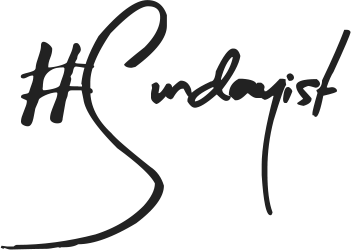 Healthy hair starts with a health scalp. I personally don't use too many detoxing shampoo's as they leave my scalp feeling really tight and itchy. I do wash my hair once a week (I typically wash my hair every two to three days) with Lush Seanik Shampoo Bar to remove any product build up. It doesn't strip my scalp of essential oils yet deeply cleanses all the while adding a little volume. If you do not like solid shampoo or perhaps want something far more gentle then I thoroughly recommend Johnson's Baby Shampoo. It cleanses the hair effectively without being harsh in any way and can help to soothe an irritated scalp. If like myself you suffer from a dry, itchy scalp then you really need to try out Palmer's Strong Roots Spray. I have been raving about this spray for so long now, basically it is a non-greasy mist that gently restores the scalp, it soothes and nourishes in one step and is suitable for use on the entire lengths of the hair. I find it to have slightly de-tangling qualities too so you can use it in place of a leave in conditioner should you wish. Oh yes leave in conditioner, how I can't be without it. The older I have become the less fussy I am with leave in conditioner as it all essentially does the same thing. At the moment I am using Sachajuan Leave in Conditioner which I will admit, I do rather like as it is so light yet it adds extra hydration and does de-tangle my hair. If you have fine hair or hair that doesn't do too well with conditioners i.e becomes lank or weighed down this could well be worth the investment. Typically I do use Uniq One All In One Hair Treatment as it is an all singing, all dancing treatment which I highly recommend for thick hair. If on a budget (aren't we all?) the Aussie Leave in Conditioner range is also pretty wonderful with a mist for just about every hair type. Lastly get yourself either a Tangle Teezer or a Wet Brush, trust me either one will revolutionise your life. Personally I prefer the Tangle Teezer on wet hair to brush through conditioner etc but the Wet Brush on damp hair. 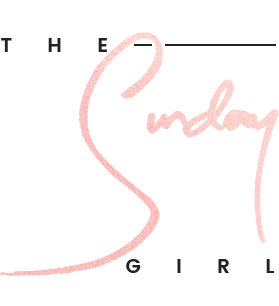 You really do not need both, if you prefer to comb your hair go for the Tangle Teezer and of course the Wet Brush if you erm...prefer a brush? Oh and save yourself a headache or two and purchase a set of the Invisibobbles, they make look rather bizarre but they oddly work. You can scrape your hair into the highest ponytail and yet it doesn't feel tight, nor do they cause the hair to break, tangle or kink. Do yourself a favour and purchase the clear set, they are far easier to disguise than my bright red and green numbers. I want long hair! I'm so gutted I chopped all of mine off last month so I will be purchasing that Biotin ASAP! I had no luck with the tangle teaser but The Wet Brush from sallys is the only one I use now to detangle wet hair and I also have one in my bag for my hair when its dry. It's ace. I have naturally thick hair which grows too fast so if I have a style put in it won't even last a month. I have found that my hair stays nicer if I condition the ends more than 3 times a week and don't use straightener's - this way my hair won't need to be cut as fast. I have no clue why it is just straightener's though, blow drying and curling are both fine. 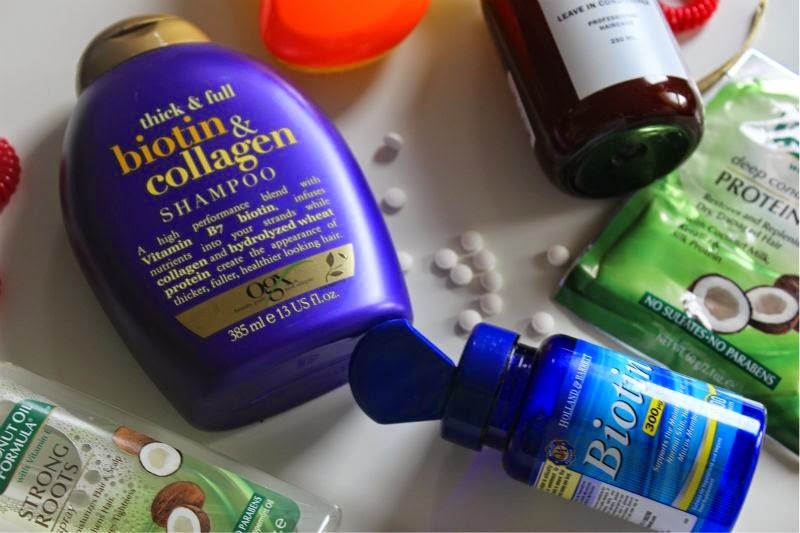 That Biotin shampoo/conditioner is next up on my list of things to try! I really want to try the strong roots stuff I wish that was available in the states!! I didn't know Palmer's made hair care products! I'll be looking for these for sure! Amazing recommendations. I never know how best to take care of my newly long hair. 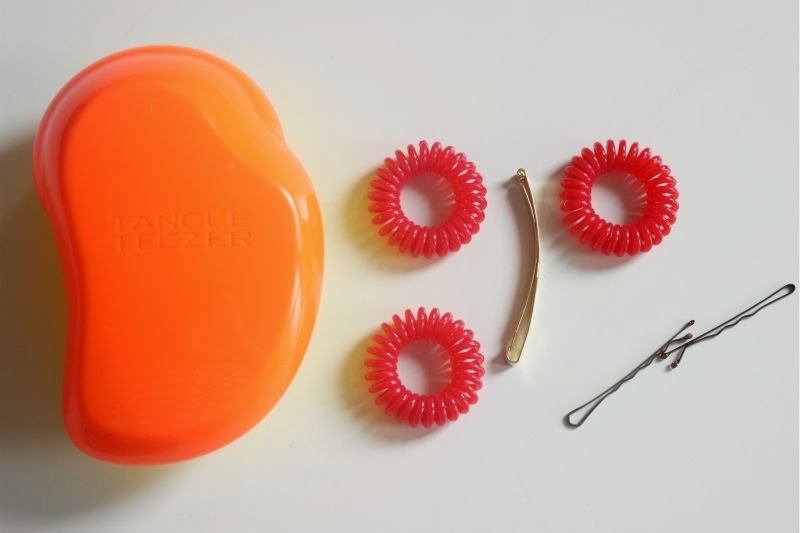 I definitely need a tangle teezer in my life! Can't be without a tangle teezer if you have long hair, love em'! My hairs getting really long now and it definitely needs some looking after! I'll have to try these tips! I will be trying some of these tips too! My hair seems to grow pretty fast, but I would love to have it in better condition!